Punjab's Nabha jail is one of the most checked-in locations on Facebook. A day after gangster-turned-politician from Punjab, Jaswinder Singh alias Rocky, was shot dead by unidentified assailants on the Panchkula-Shimla national Highway, several Punjab jail inmates took to social networking site Facebook and claimed responsibility of the murder. According to the Indian Express, inmates in jails across Punjab are active on Facebook. With Nabha Jail being one of Punjab's most checked-in locations on the social media platform. 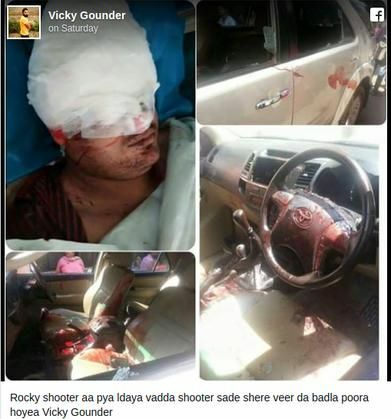 On 30 April, Vicky Gounder of the Shera Khuban gang - who is currently lodged in Nabha jail - claimed responsibility for Rocky's death. Soon enough, five other jail inmates also laid claim to the murder on Facebook - including Jodha Kothaguru and Dhruv Daudhar. However, the prime suspect in the case, Jaipal, slammed all other claims and said that he had murdered Rocky. He also boasted about how he was the only one to claim responsibility for the murder while still a free man. Deep Sandhu shared Jai Pal's post. An Indian Express report said that over 150 photographs have been uploaded on the social networking site by jail inmates - who regularly post selfies and other pictures while locked up in the prison. 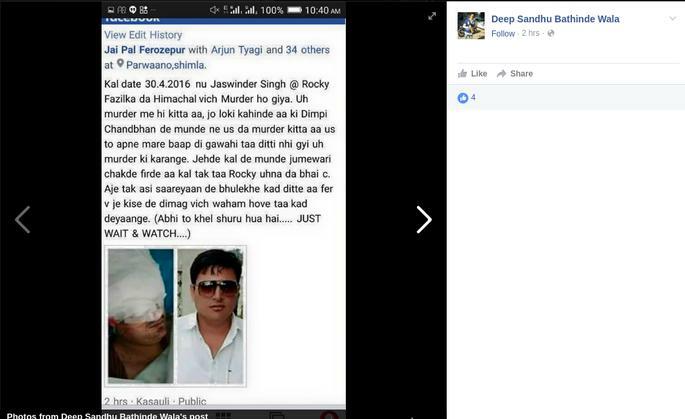 A social media user also shared a picture posing with Punjab felon Mantu Grewal while he was inside Nabha Jail. Another group posted a picture while inside the Nabha Jail in Punjab. The daily quoted ADGP Prisons MK Tiwari as saying, "Recently we conducted raids at Kapurthala, Nabha and Patiala, and recovered mobiles and other objectionable substances. We are not able to understand as to how smuggling of mobile phones is so rampant." Gangsters also reportedly continue to run extortion rackets from jail cells. TWEET THIS Inmates in Punjab jails update Facebook as regularly as you do. Jaswinder Singh murder unearths bizarre row Punjab's Nabha jail is one of the most checked-in locations on Facebook.